It's Not Work, It's Gardening! : Time to chop! There are purple grasses in here somewhere! It's the path blocking that bothers me the most though. 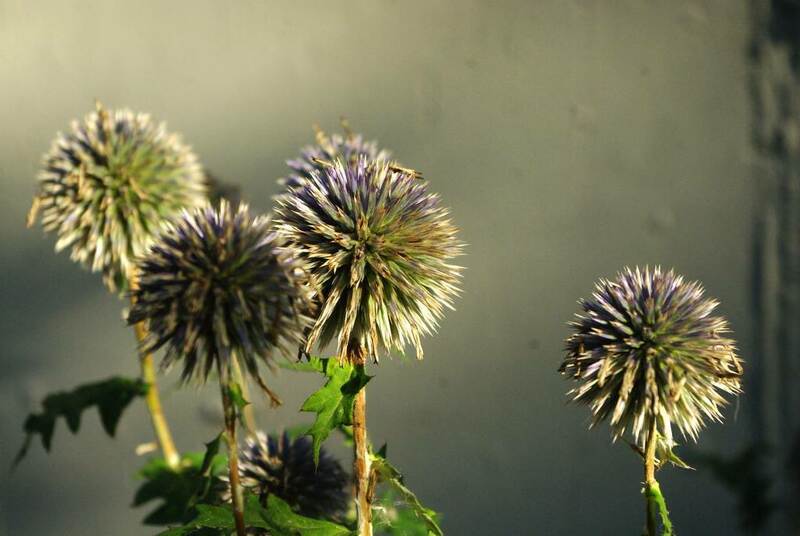 The stems of these plants are sticky and prickly, so brushing them aside as you try to walk past isn't the most pleasant experience. So I decided to prune many of these, not only getting them out of the way, but hopefully forcing the plants to create additional blooms. 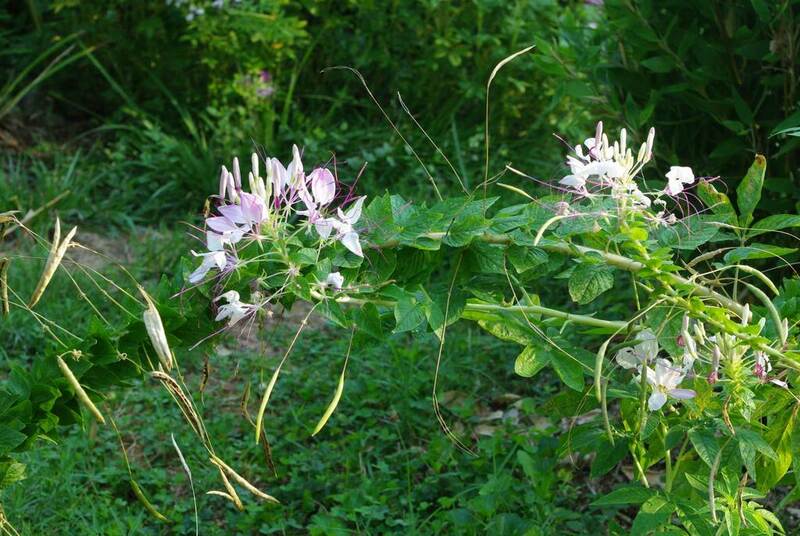 One thing about cleome is that it produces seed pods as long as it keeps blooming -- and since I already told you it blooms forever, it produces a lot of seeds! 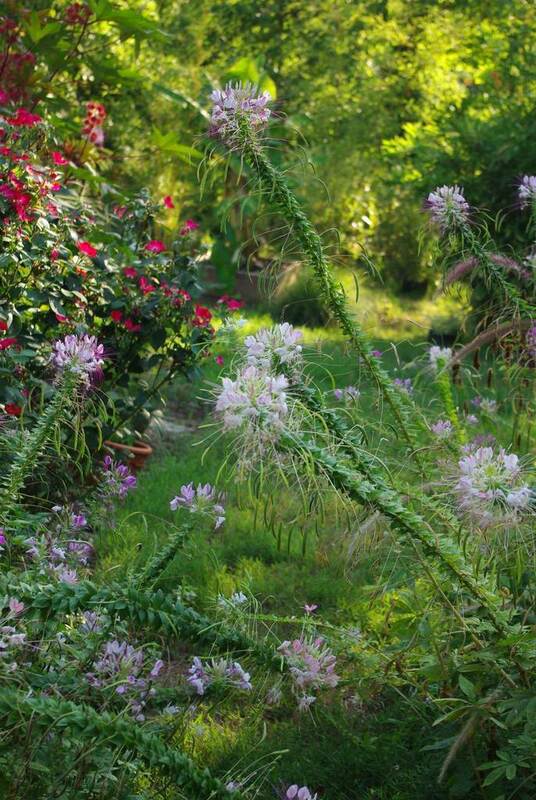 Ah, I can now walk through here unmolested by cleome! I left some unclipped, as I didn't want to deprive the bees of all of the blooms. 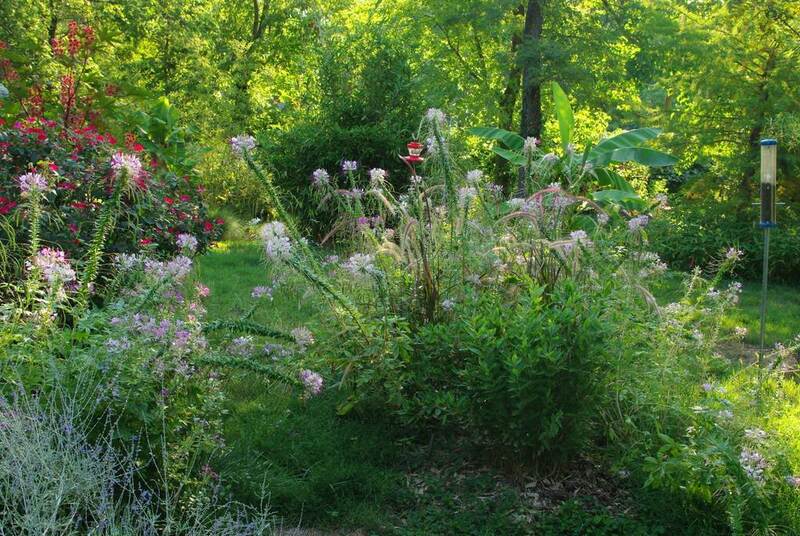 Once the plants branch out and form new blooms I'll prune the remaining tall plants. That's the plan at least. Since I have a problem with these freely reseeding, I have no problem with removing many of the heavy spent blooms to see if I can coax another few flowers out and to get the plants more upright. I haven't done this before, but it's worth a try. I only removed blooms from about half of the plants in case it's too late to trigger more flowers to form. 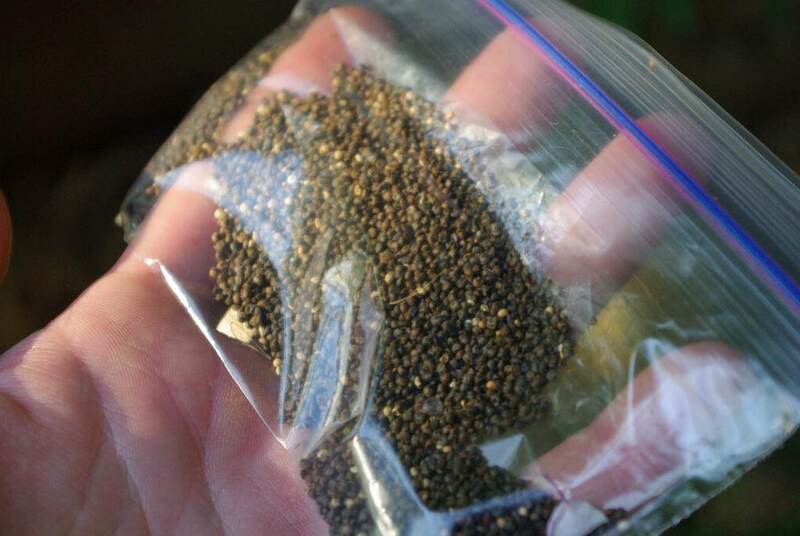 I want the finches to have some seed heads to feed upon this winter! 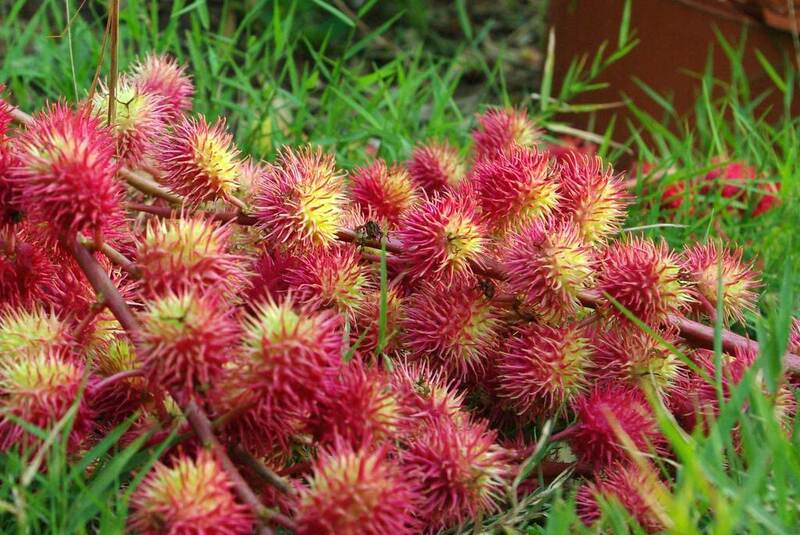 Many people grow this specifically for the brilliant red seedpods. 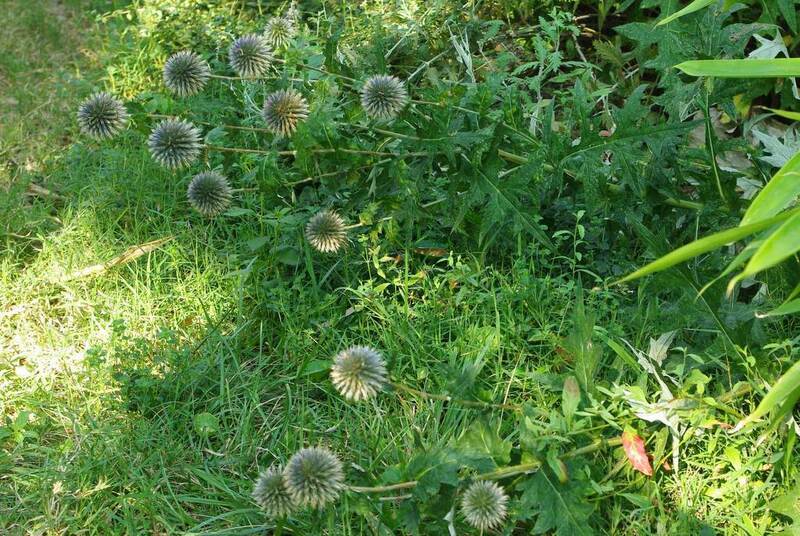 I however grow it for the foliage, and find that the fluorescent pods distract me. Plus. 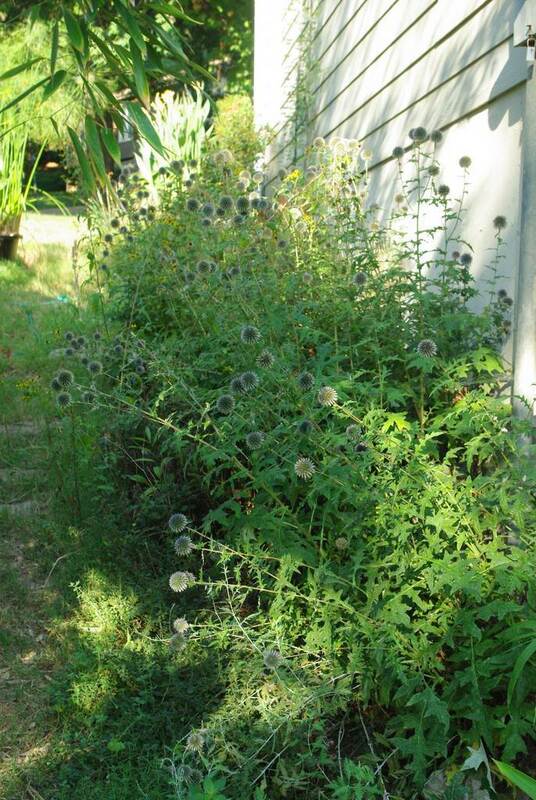 they are so heavy that too many of them means that this plant will topple or crack in the late summer storms. 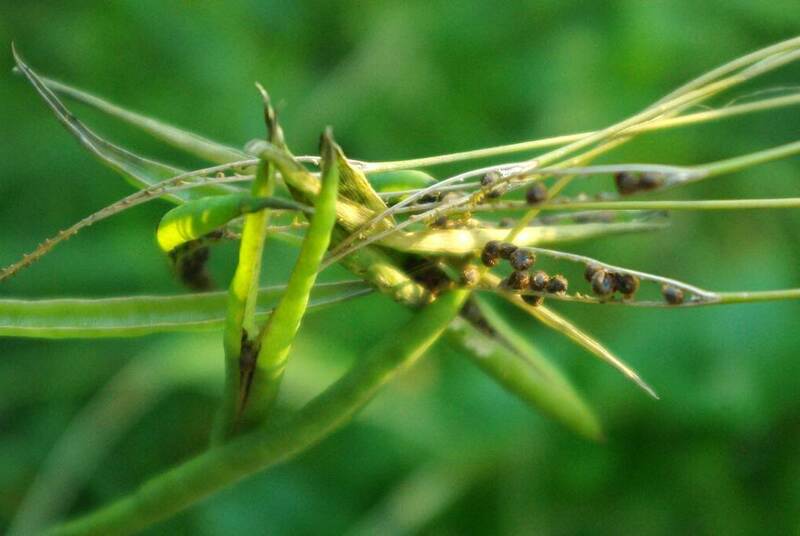 So I prefer to remove most of the pods. 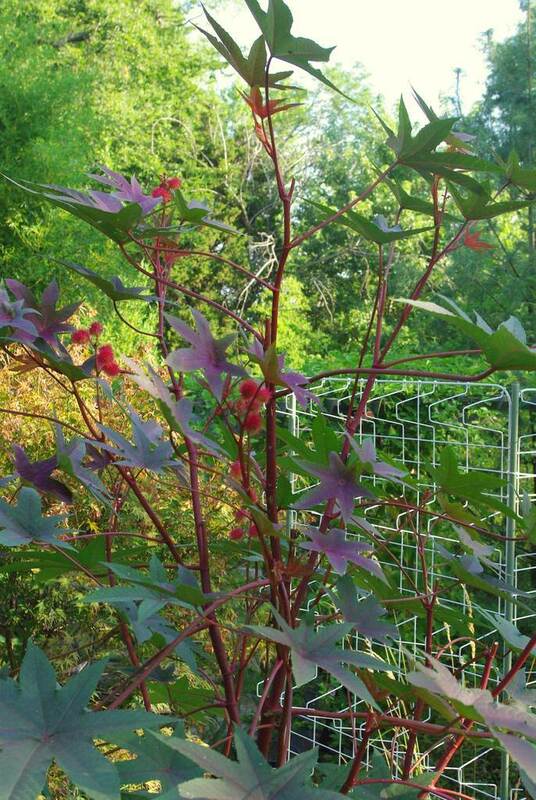 Maybe the plant doesn't look as impressive from this angle because you're seeing many of the leaves edge-on, but when seen from above (from the deck) or from across the garden, it's much nicer without the gaudy pods I think. That's my pruning for today. Two plants I've not pruned in previous years, and one that many people think I shouldn't have. What fun is gardening if you don't do things differently every once in a while? 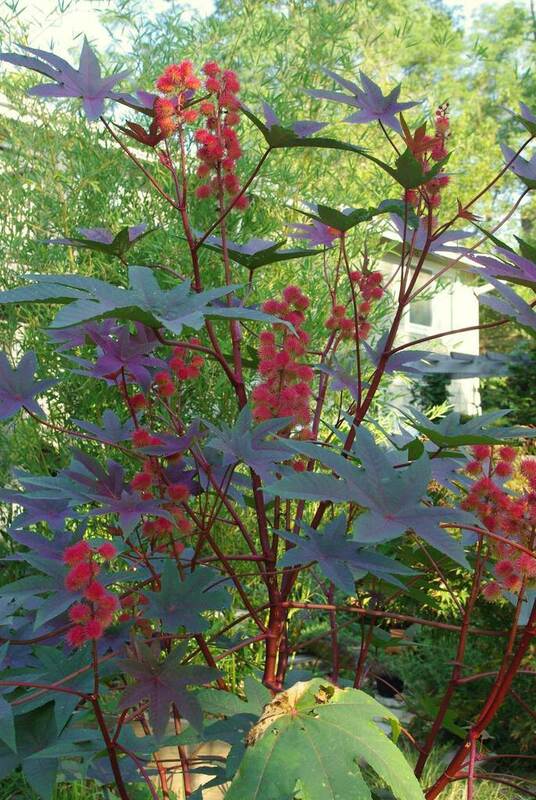 I really love the castor bean 'Carmencita'. My Cleomes flopped last year, I hope they come back this year - I think they are lovely! 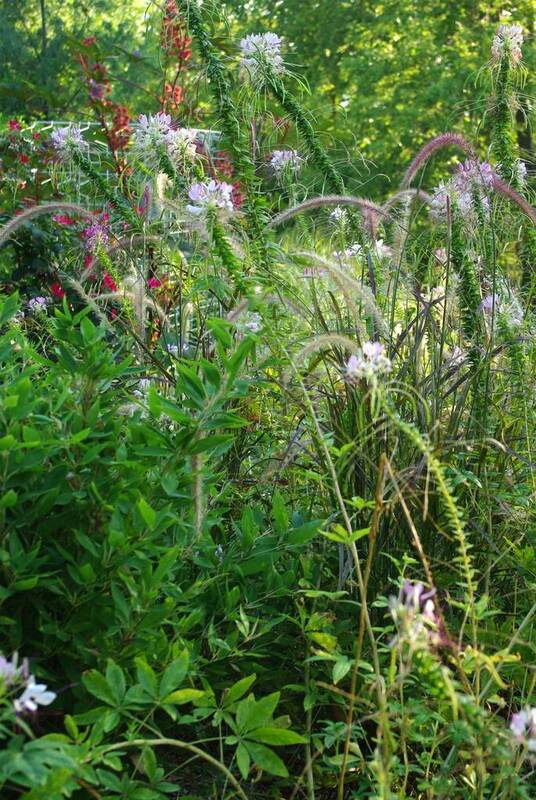 I'm very fond of the cleome, but it does need to be reined in sometimes! 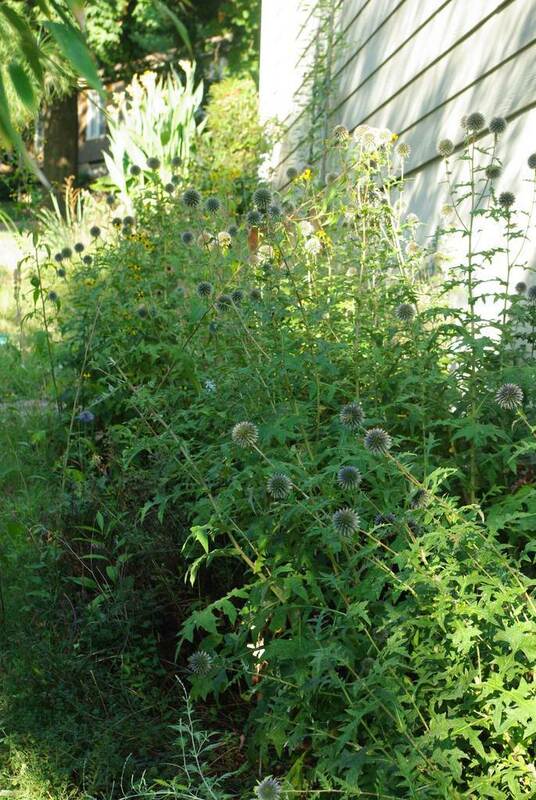 The thorns and stickiness are great deterrents to the woodchucks who live in my garden! 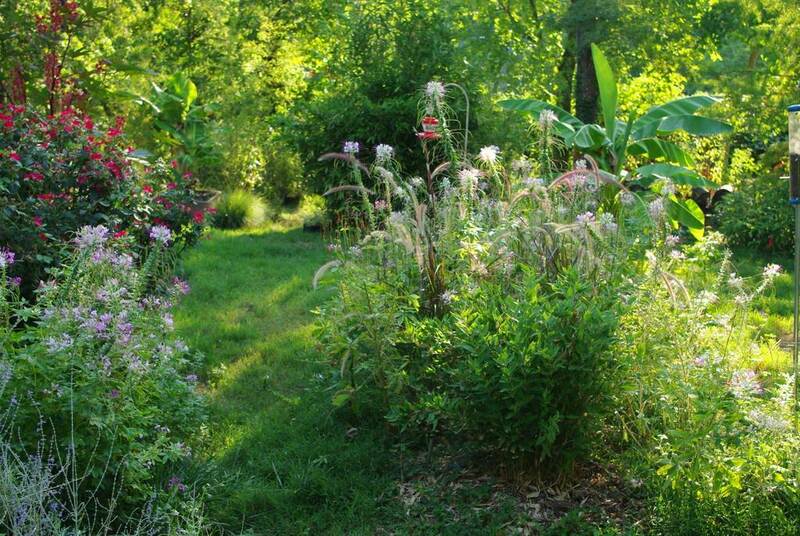 Your garden has held up to a tough summer pretty well! 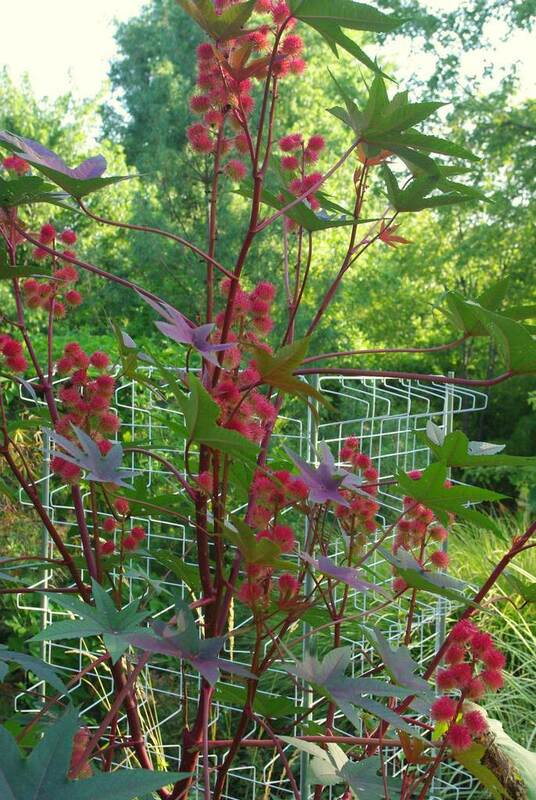 Here Castor Bean is an invasive pest, as it is perennial. Looks a lot better in your area. 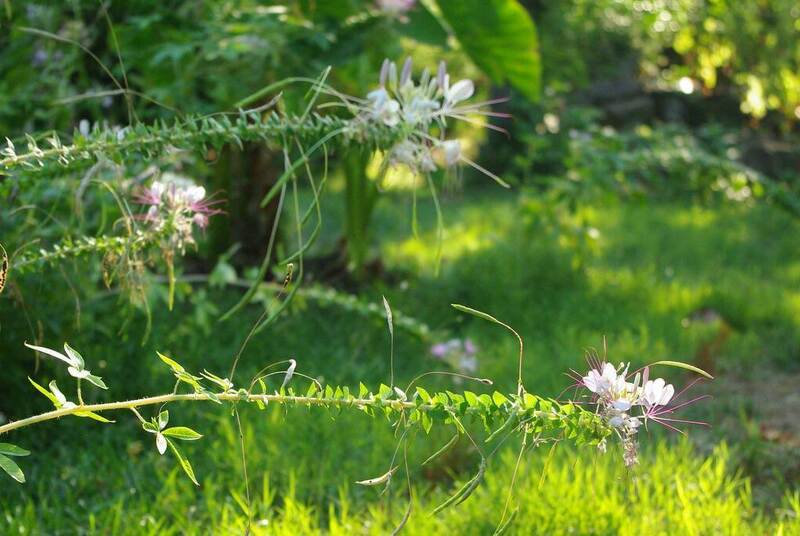 The cleome is turing into one of my favorite flowers. Mine do not get quite as tall as yours. 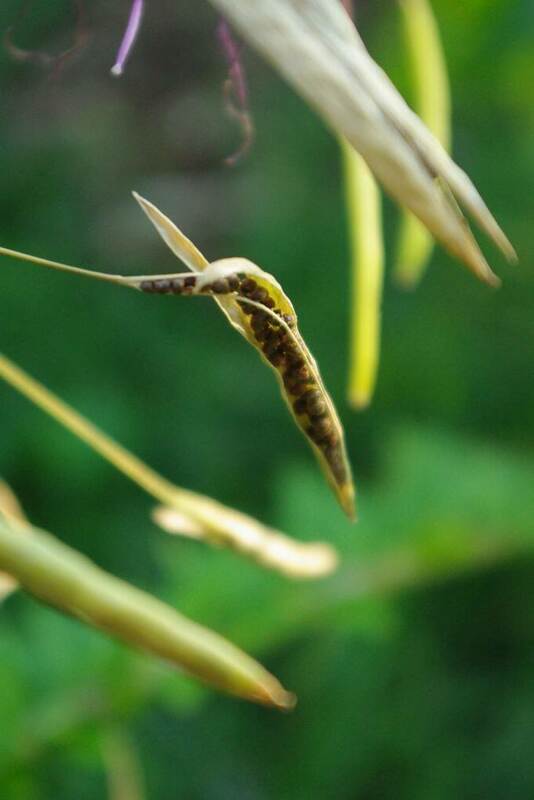 I have already cut mine back this year to the ground. I hope to see them again next year!